Jon studied Physiotherapy at Amsterdam University of Sciences, receiving First Class Honours. He went on to work as a physiotherapist at the academies of professional football clubs in Denmark, Sweden, and with Tottenham Hotspur FC. Jon has worked at various clinics both in the UK and overseas, focusing on musculoskeletal healthcare. He focuses treatment towards each patient's specific needs, lifestyle and goals. Jon has completed specialist post-graduate courses in manual therapy, the lumbar spine (lower back), the foot and ankle, and the shoulder. He has a particular interest in shoulder rehabilitation and the treatment of rotator cuff related shoulder pain. 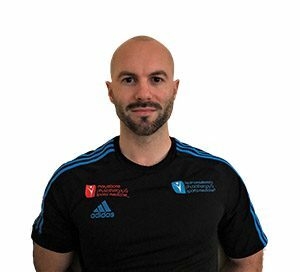 He is currently completing his Masters in Physiotherapy at the University of Brighton, specialising in musculoskeletal physiotherapy and rehabilitation. He is writing his dissertation on rotator cuff related shoulder pain. Away from work and study, Jon is a keen swimmer, gym-goer and tea-addict. He also enjoys reading European crime novels and watching repeats of Arrested Development.